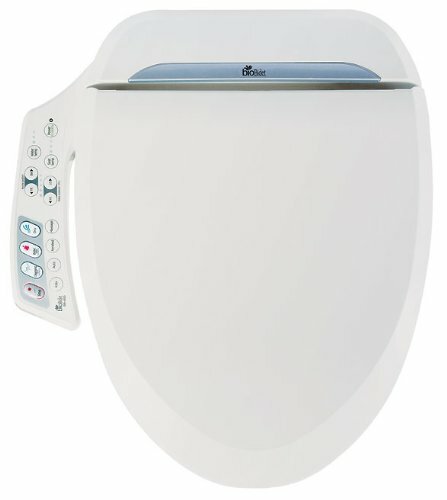 The biobidet ultimate electric bidet seat for elongated Toilets is an easy-to-use BB-600E with front and rear wash cycles, Oscillating and massaging modes, auto wash and kid's wash. The vertically oriented dual nozzle delivers an aerated pulsating wash of warm water and when finished, you can opt for the warm air-dry. Temperature and pressure are controlled with a side-mounted panel. It features a heated closed-front seat and is hydraulically controlled to limit contact with germs.